This weekend was one of those weekends you just don't want to end. I've had a pretty full few weeks getting acclimated to a new workplace and also working on three events in the first 5 weeks on the job. My sink or swim training culminated in my first work trip to manage an event on site last week. The event went well and I was happy to get to know my team better by traveling together. But I welcomed a quiet weekend at home. On Saturday, Aaron and I woke up early and drive out to Bluemont,VA which is about an hour outside of DC. 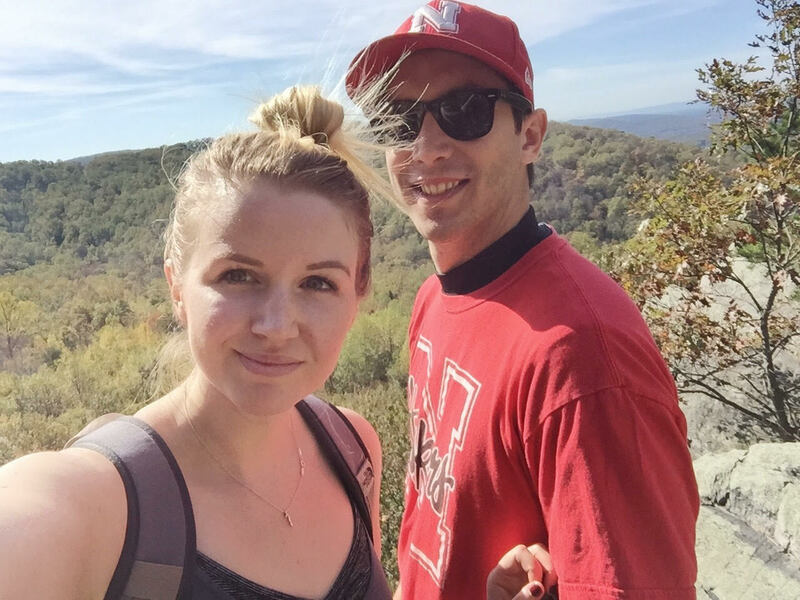 We spent the morning hiking to Raven Rocks which was about a 5.5 mile, 3 hours round trip hike. I'm wouldn't call myself a hiker (far from it in fact) but there really is something to be said about the quiet of the outdoors and the crisp air compounded with the endorphins earned from an uphill climb. 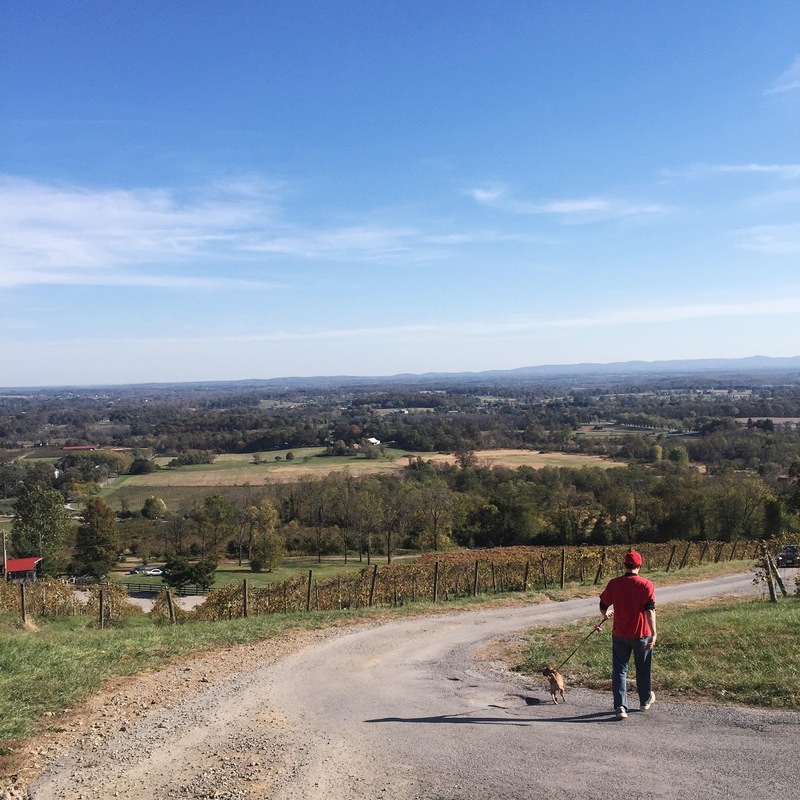 After our hike, we visited Bluemont Vineyards, Great Country Farms, and Dirt Farm Brewing, all of which were conveniently located just a few miles from the hike start. 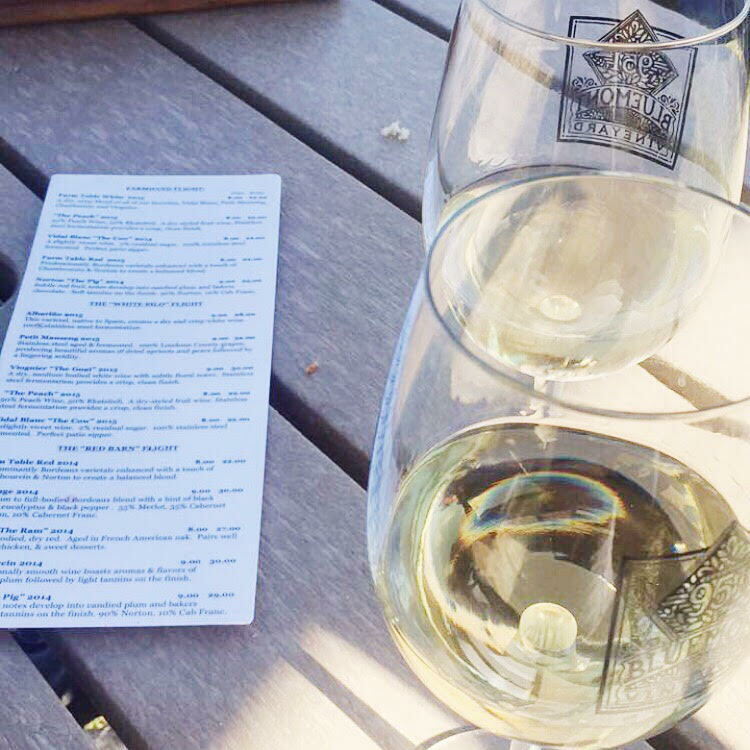 The weather was a perfect 70 degrees so the winery and farm were packed. But in that moment, I was just happy to be there with Aaron (and Lucy, of course). People keep asking me how married life is and if life has changed at all. The truth is that day to day life hasn’t changed much except that I’m drinking out of nicer wine glasses and cooking with a new cast iron skillet. But what has changed are my feelings. Life feels fuller. It’s comforting knowing that this is it -- it’s us together forever. Its us fighting over where to park or us chowing down (without shame) on Taco Bell breakfast before a strenuous hike. It’s us sharing a bottle of wine in a overcrowded winery just happy to be together.. Life is richer than it was just two months ago for no other reason than I’m proud to call my best friend my husband. And there is something truly settling in the pride.